To most Americans, “custard” means a sweet, eggy and frequently bland dessert. The traditional Japanese favorite Chawan Mushi is something quite different. This is a savory, rather than sweet, egg custard that may contain any number of different ingredients, mostly depending on the individual cook – and, of course, the contents of their pantry. 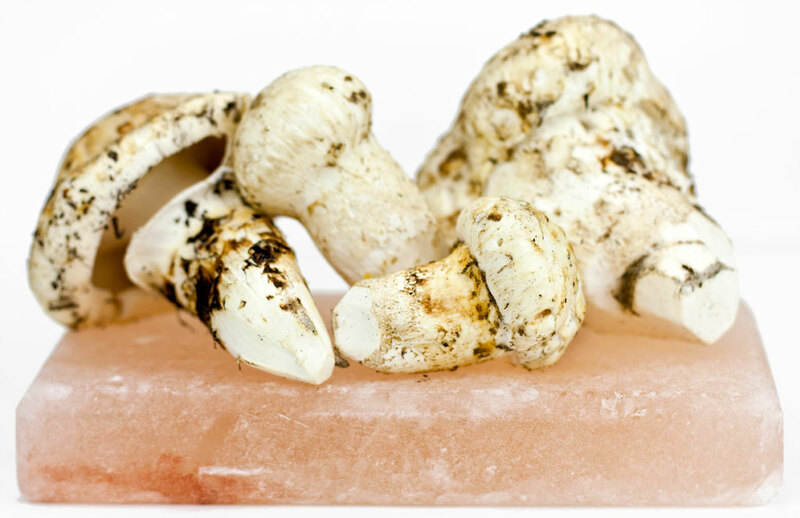 This particular version features matsutake, the famous “pine mushroom” so treasured by Asian cooks and diners. 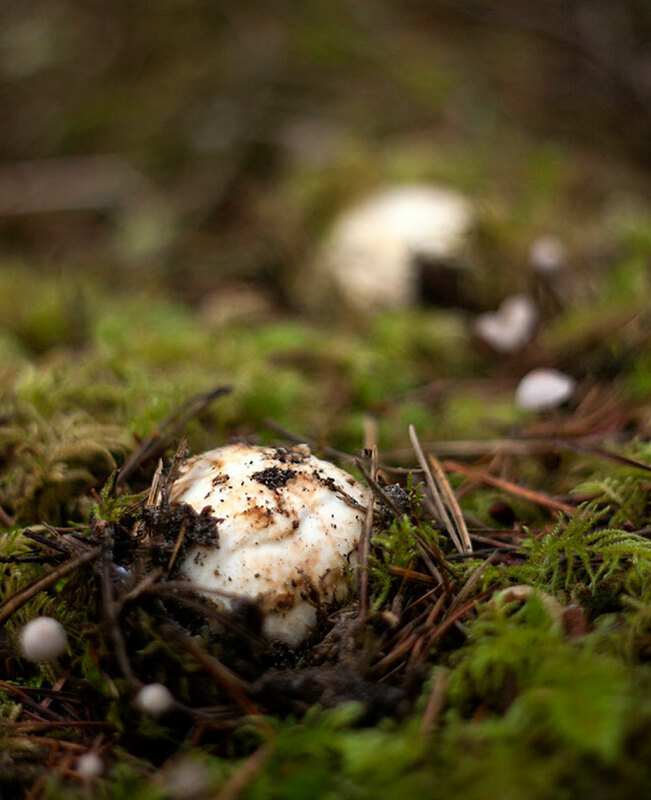 The naturally mild taste of the simple custard and the gentle steam-cooking method favor subtle flavors and so make matsutake particularly well-suited to this dish. Chawan mushi literally means “steamed in a tea bowl” and this describes the simplicity of the dish very well. While it’s so popular that special lidded chawan mushi cups are sold in most Asian markets, there’s no need to buy them just for this dish. If you don’t already have these special cups, just use any heatproof tea or coffee cups, regular custard cups or ramekins. We’ve modified this dish slightly to accommodate Western tastes by adding an extra egg for a firmer, custardy texture. If you prefer the traditional lighter, soupier version, just use three eggs instead of four. Beat the eggs until well blended. Add the stock, soy sauce, sake and sesame oil and beat to incorporate thoroughly. 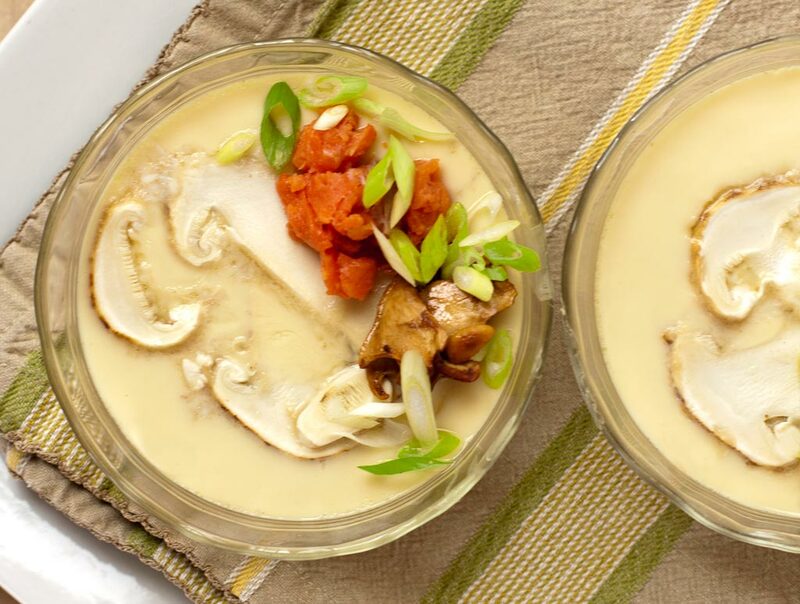 Slice the mushrooms thinly and distribute evenly between 4 custard cups or ramekins. Fill the cups 3/4 full with the egg/stock mixture. Cover each cup tightly with aluminum foil. Place a flat rack in a large pot wide & deep enough to hold all four cups. Add hot water until just below the rack. Cover and heat over medium high until the water begins to boil. Reduce the heat to a low simmer, place the covered cups on the rack and put the lid on the pot. Steam for 15 minutes, then turn off the heat. Leave the lid on the pot and allow to steam for an additional 5 – 10 minutes. Remove the cups from the pot and place on a kitchen towel. Blot any water from the foil. Uncover, garnish with desired toppings and serve while warm.